Wye Valley Laser Tag01600 890360work Lazer GamesWhich mission will you accept at our Wye Valley Warfare Laser Tag Ops at the Wye Valley Visitor Centre? 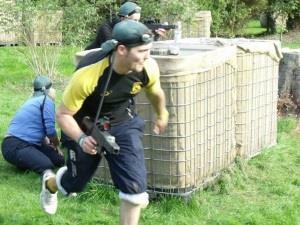 Wye Valley Laser Tag is a brilliant all year-round experience in the heart of the Wye Valley. Choose your mission and ACTION! Execution: Two thrilling 12-minute combat games on our purpose built battleground for 2 to 24 Secret Agents and Partisans, no booking needed, subject to availability. Just come along from 10 a.m., or use our Online Offer to make a really great day out. You will be given a start time for your games when you arrive. Execution: Eight to ten exciting 10-minute tactical games on our purpose-built battleground or at your own venue, booked for your private group. Recruit you Spec Ops squad of 10 to 24 mission specialists and book online for MISSION BRAVO.